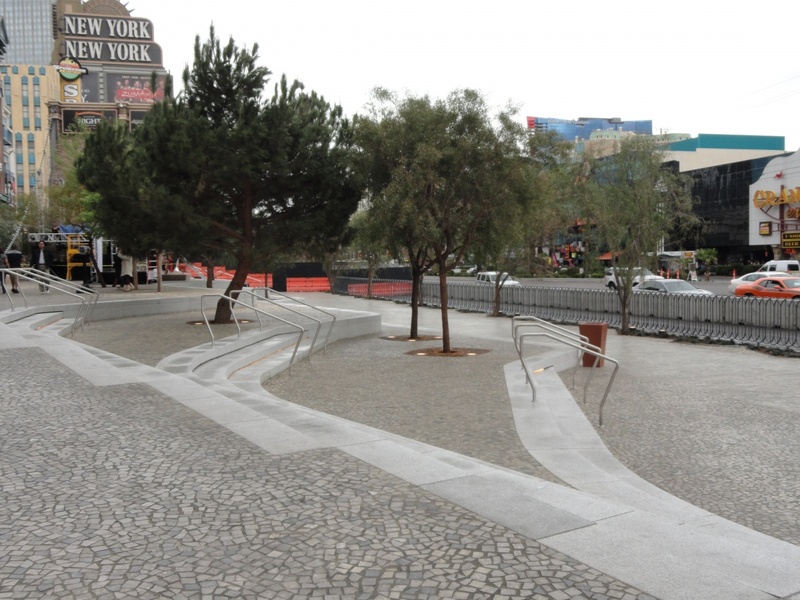 Superior recently completed one of the most innovative pedestrian walkway projects in Las Vegas. 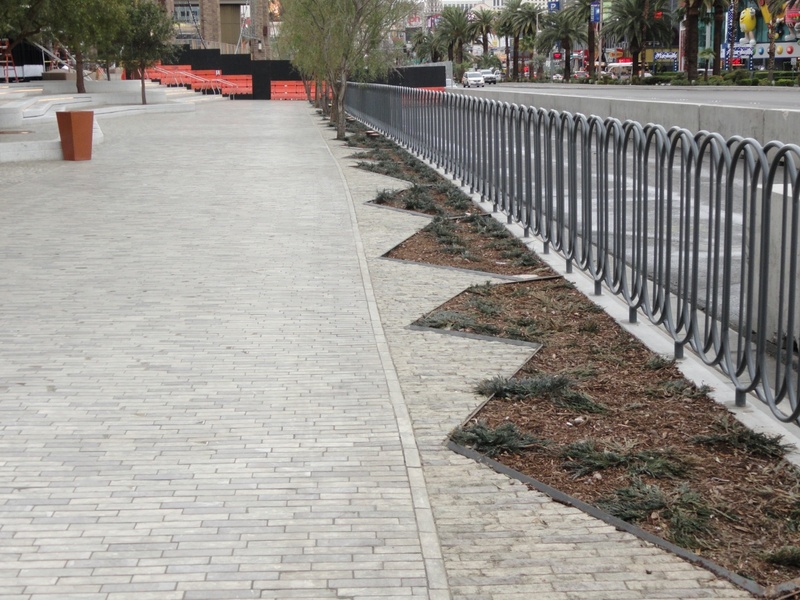 Located between the New York-New York and Monte Carlo Resorts, the project turned a pedestrian desert into a thriving, vibrant area and introduced a new, highly effective grouting technology from Germany. The innovative grout formula handles hot weather beautifully. Designed to withstand high temperatures, the new grout is the perfect choice for Nevada’s desert climate. Superior worked closely with Marnell Architecture to develop the project’s unique specifications. CEO Tommy A. Conner traveled to Germany to visit the factories that manufacture the new grout. The grout mixture is composed of epoxy and sand. It allows the installer to vary joint sizes from a feather to nearly an inch, as needed. 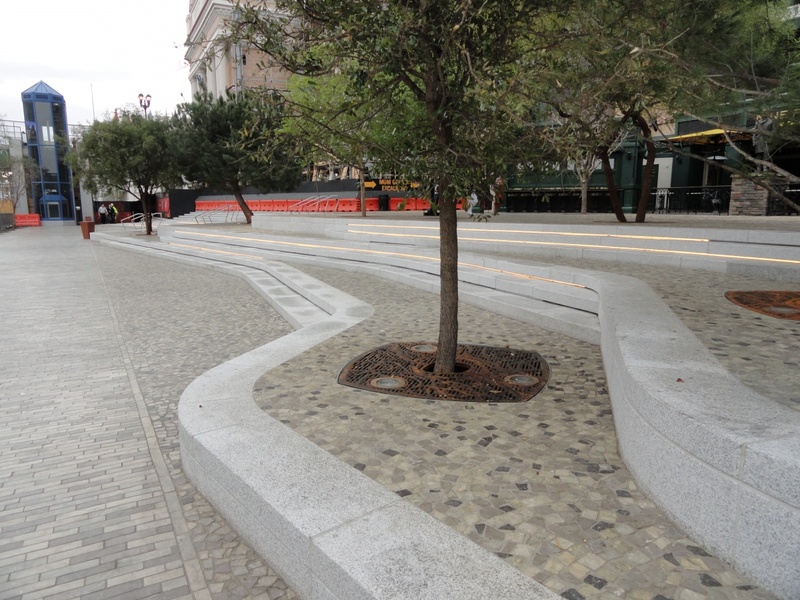 Concrete sidewalks and glass walls have been transformed into beautiful piazzas. For years, thousands of visitors walked past the Las Vegas Boulevard and Tropicana intersection and ignored the New York-New York and Monte Carlo Resorts set back from the Strip by concrete and glass. Since the project’s completion, guests enjoy fine dining and shopping accessible from the new mosaic walkways installed by Superior. Stacked stone gardens and landscaping with solid granite features add variety and visual interest. Superior installed 2.5 million marble pavers. Before heading to Germany, the Superior team went to New York and met building owners and contractors familiar with the innovative grouting system. 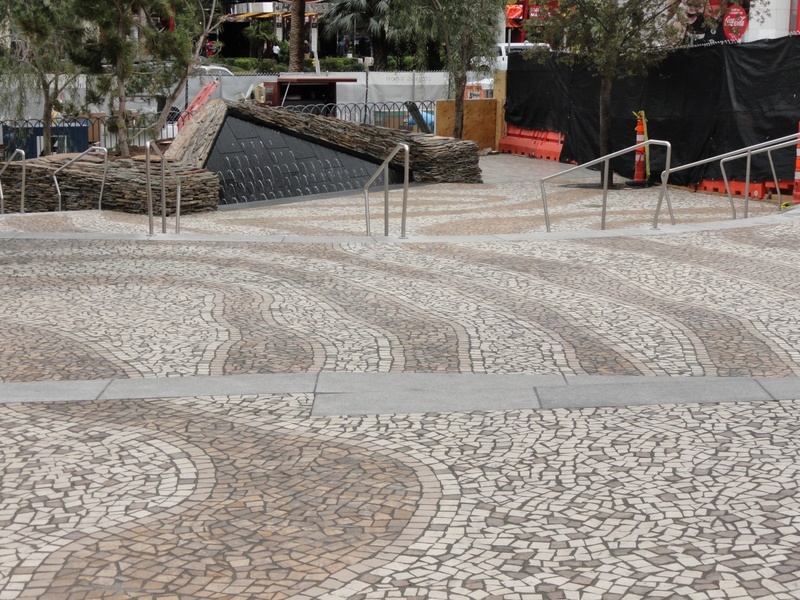 Back in Las Vegas, Superior applied the new grouting system to install over 2.5 million marble pavers in a flowing mosaic. 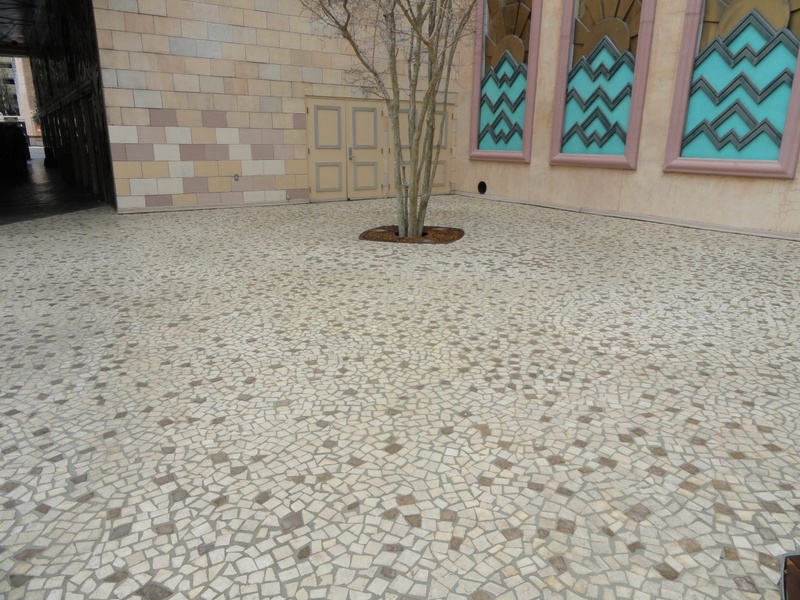 The project team vibrated the marble pavers into 1 inch sand beds. Next, Superior cleaned and grouted irregular joints with the new epoxy formula. 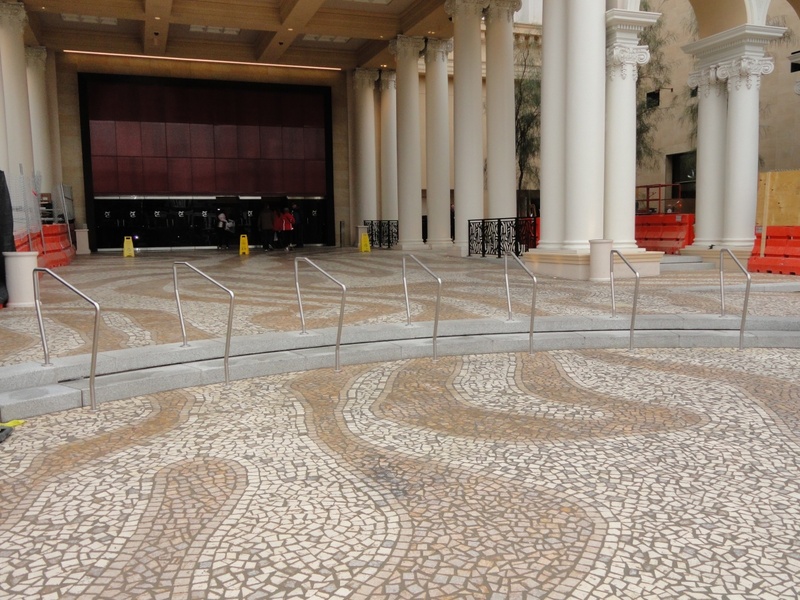 Ingenuity pays off and Superior invited to install similar project at Caesars and Monte Carlo. Superior’s performance on this challenging project did not go unnoticed. 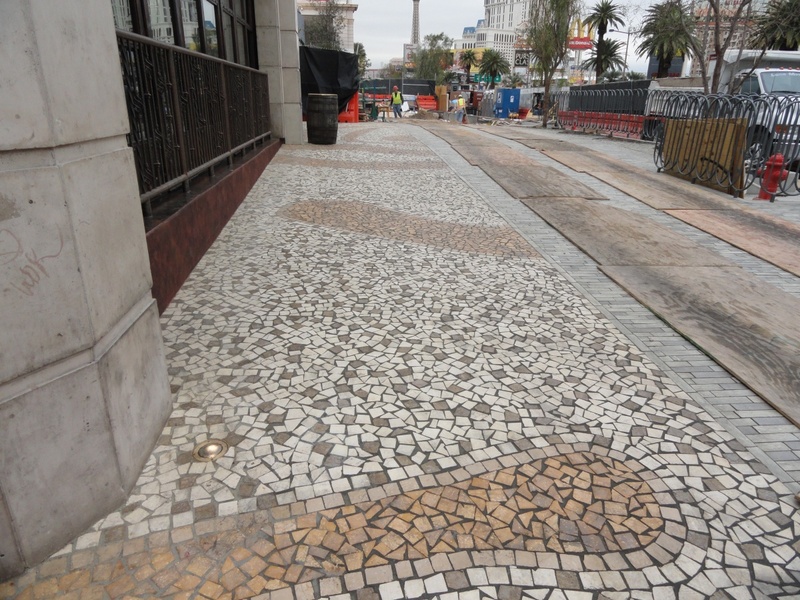 The company was recently awarded a comparable contract to continue the mosaic paving into the new park under construction between Monte Carlo and Caesars.